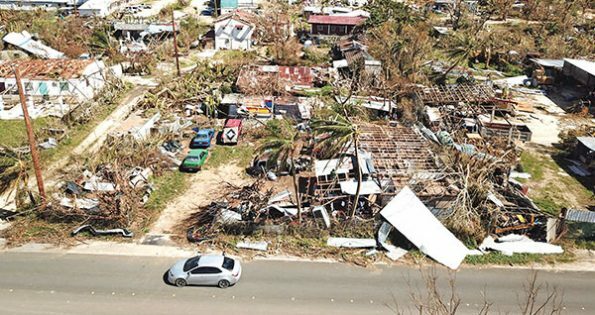 Just three years after Typhoon Soudelor, a Category 4 monster with sustained winds of 130 mph with gusts in excess of 160 mph, became the worst storm to strike Saipan and Tinian in the Northern Mariana Islands in nearly 30 years, beleaguered citizens of the U.S. Trust Territory are facing another serious crisis. Surprisingly, however, if early video is any indication, many of the larger buildings along the Saipan shore appeared to be in better shape than I expected, based on the early reports. To view the brief Oct. 26 Saipan KSPN2 News “Typhoon Yutu Round-Up,” please click here. .
On the other hand, global satellite images present a far starker view of Yutu’s destruction. To view the Weather Channel’s “Super Typhoon Yutu’s Destruction in Saipan, Tinian Seen in Before and After Satellite Photos,” please click here.
. . . According to figures released by the Weather Underground website, Yutu was tied with the fifth-highest wind speed of any storm on record as it made landfall. Only a few storms, including 2013′s Super Typhoon Haiyan, which struck the Philippines, have been stronger, and even then not by much. For the United States, just one storm — the 1935 Labor Day hurricane that hit the Florida Keys — is believed to have been more powerful. To read more of the Washington Post story, please click here. Everyone knows know about Hurricane Michael, which made landfall at Mexico Beach, Fla., as a high-end Category 4 hurricane, with maximum sustained winds of 155 mph on Oct. 10, and has claimed at least 54 deaths, but if you blinked you’d miss the news about Yutu. Because the fortunes of the approximately 55,000-plus indigenous people of the Trust Territory of the Mariana Islands, consisting mainly of Saipan and Tinian, present no immediate political benefit to the U.S. media establishment, network coverage of the tragedy has been scant. 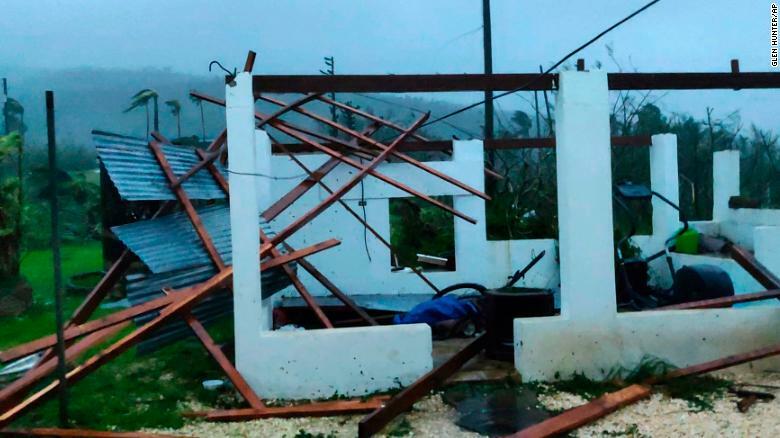 Super Typhoon Yutu left major damage on the Northern Mariana Islands after a direct hit. The entire island of Saipan suffered damage and it may take weeks to restore power to everyone. The governor’s office confirmed one death and at least 133 injuries in Saipan. Recovery efforts were well under way by Oct. 29, and in a few parts of the island, power had been restored. To see the latest KSPN2 News reports, please click here. Growing up in the Washington, D.C. area, October was always my favorite month, as its fresh, cool, blue days trumpeted the end of another hot, humid summer, but as we see, it can also be the cruelest month if you live in the wrong place. With the recent news of Josephine Blanco Akiyama’s return to Saipan at age 92, I had been cautiously hopeful that some progress was being made there in favor of the planned Earhart Memorial Monument. But this worthy cause and all the controversy it brings will now be set aside for another time, as far more pressing matters occupy the unlucky citizens of Saipan, Tinian and the rest of the Mariana Islands.